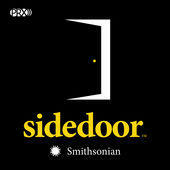 Sidedoor: More than 154 million treasures fill the Smithsonian's vaults, but where public view ends, Sidedoor begins. Myths and Legends: Stories from myths, legends, and folklore that have shaped cultures throughout history. Local Exposure: Focusing a light on the thriving music scene in Greater Cincinnati.